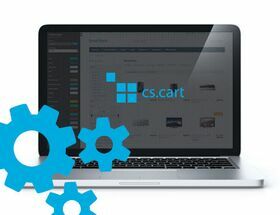 Extension to CS-Cart oraz Multi-Vendor allows you to set up order delivery via Paczkomaty. Customer can choose which paczkomat will contain his package. Extension to CS-Cart and Multi-Vendor allows you to set up order delivery via Paczkomaty. Customer can choose which paczkomat will contain his package. After you install an addon, a new shipping method will appear - Paczkomaty 24/7. Set access keys, then set shipping cost in depend of weight and amount of items, so customer will pay for shipping via Paczkomaty 24/7. If customer will make order via Paczkomaty 24/7, you need to complete two steps in administration panel. First, manually create shipping, then set up shipping method and package size. Second, print waybills and proofs, that are available after creating shipping.